And the new charity is…………. I am proud to announce that the charity I wish to raise money for in 2014 is Bowel Cancer UK. Following on from last years fundraising, I have decided to raise money again for a Cancer charity and one that I think doesn’t get as much support as others. I have personally known a few people in the past that have suffered with this condition and I saw how determined it made them to keep on enjoying what they were doing with their lives. I am still to finalise the ride but it is likely to be shorter than last years and will probably be kept around Northamptonshire for logistical reasons. Once again, I am calling for anyone that would like to join me to get in touch. More information about Bowel Cancer and Bowel Cancer UK can be found here. Well, I’ve been resting my foot over the weekend and the pain is starting to go when I walk on it. There is still slight pain when I move my foot but nothing that is going to bring a tear to my eye much like it has been recently. With this good news comes the excitement that I can get back on the bike and get riding this season. With the last injury I had (last season) I find that getting motivated to be back on a ride quite difficult. It’s the initial push that I need in order to get the bike out of the shed in the first place. There is also some good news with regards to a new charity that I want to ride for and details will be in the next update. I thought that I would write a short review of a new track pump I recently purchased from Chain Reaction Cycles. As I am a cyclist on a budget, I look for the cheapest accessories and components that I can find whilst maintaining my usual high standards of quality. I guess it is right to say that I won’t pay full price for anything and only buy items in sales and second hand. 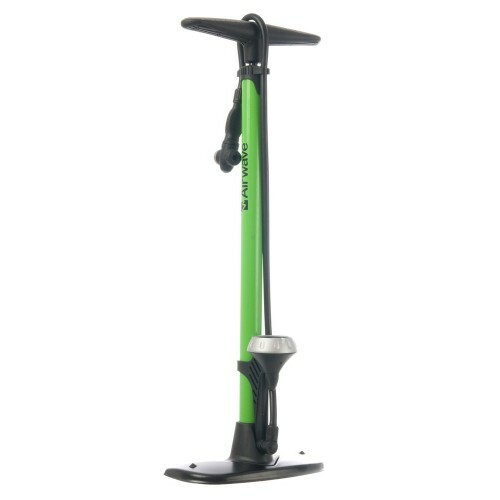 So, the Airwave Storm track pump currently has a massive 40% off it on the Chain Reaction Cycles site which makes this a wallet friendly £14.99 so you’re saving a pub tempting £10 on the RRP. The handle is comfortable to hold and a great, easy to use locking mechanism to attach to the valve and is dual sided to fit both Schrader and Presta valves. It also has a mid mounted gauge that displays both bar and psi so you can get the pressure spot on. 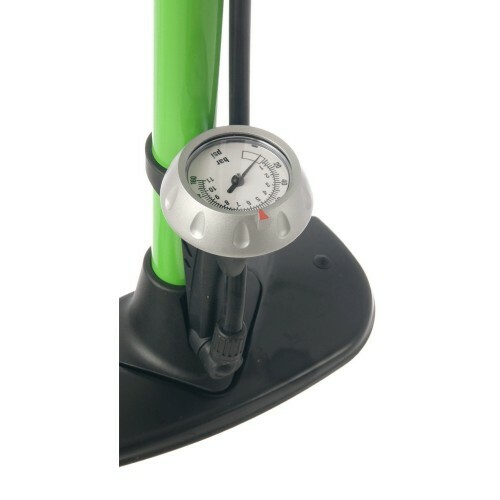 The handy 1m piping means that you can have the bike clamped into a work stand to inflate the tyres. Now that we have touched no the boring stuff, it is now time to get to the fun stuff. How it works and what I think of it. The delightful bright green colour is actually quite modern and not a harsh on the eyes as I was expecting. Everything feels well made and sturdy whilst remaining to weigh under 2kg. My only issue with it is that I am 6ft 1in and the action feels a little low but other than that, it is a great budget track pump that will do for any keep or budding cyclist along with the more experienced that don’t want to spend a huge amount of cash. For about 3-4 weeks now, I’ve had a pain in the top of my right foot and it makes it uncomfortable to ride long distances with my SPD shoes on. I’ve tried wearing them looser but I still get a sore pain that eventually makes the whole of the top of my foot numb and quite painful to put too much weight on and sometimes moving my toes. It is very tender to touch and I’m not sure if it could be a stress fracture or just some damage to my tendons? Either way, I just want it to get better (I can rest it as I have a job that requires me to walk about and be on my feet most of the day) and have been knocking the painkillers back in order to attempt to get through the day but my cycling is taking a back seat for it. 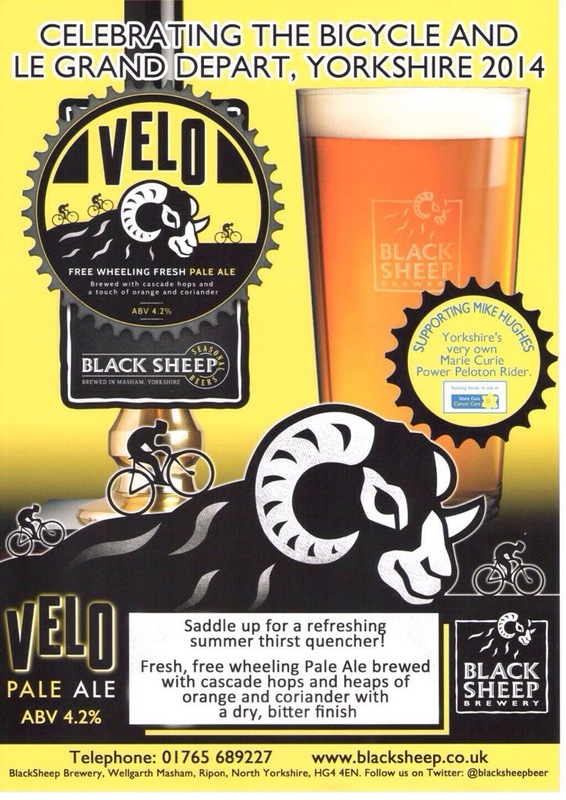 This is a fantastic idea to celebrate the start of Le Tour in Yorkshire. Yesterday, a new addition to the family arrived. My girlfriend isn’t never going to compete in Le Tour but wanted to buy a bike to allow her to just go out and enjoy a relaxing bike ride. There wasn’t much in the budget it was always going to be a make that wasn’t KONA, Specialized or SCOTT so we went for the cheery brand of Spike. From what I know about the company, they are a small business that make simple bikes for all ages. It was simple to assemble with instructions and tools supplied enabling it to be put together by a complete novice without much maintenance experience. 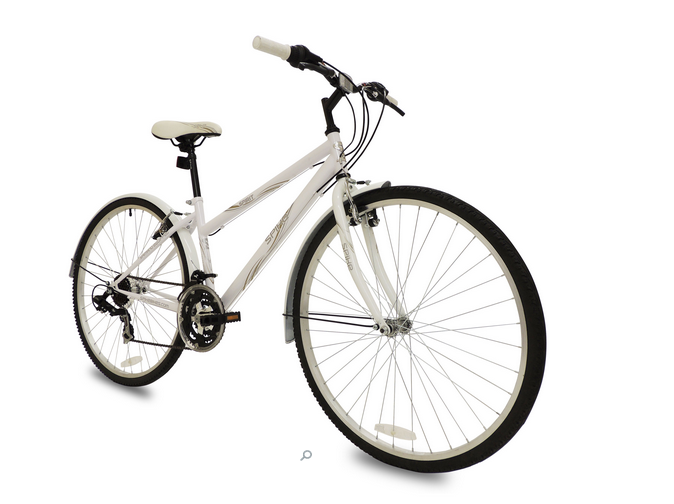 Overall this looks a good city/trekking bike. In 1998, Marco Pantani, the most flamboyant and popular cyclist of his era, won both the Tour de France and Giro d’Italia. 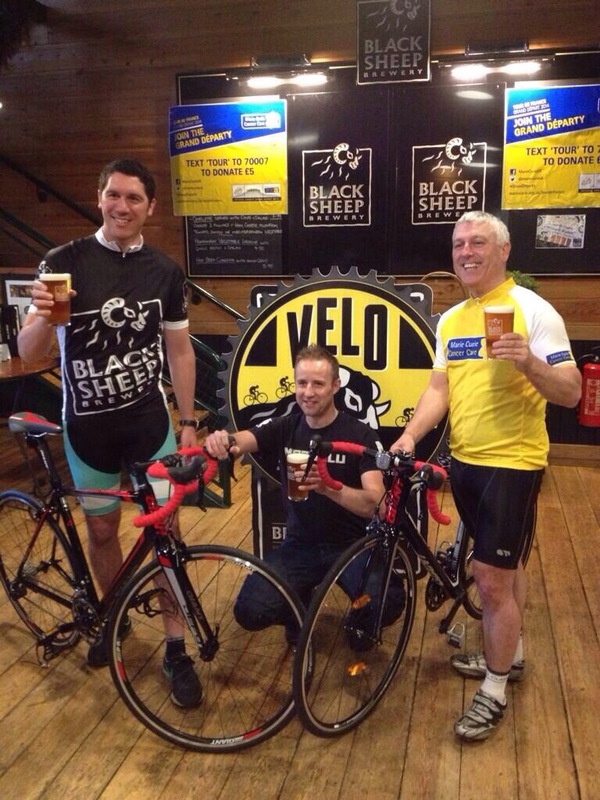 A titanic feat of physical and mental endurance that no rider has repeated since. He was a hero to millions, the saviour of professional cycling following the doping scandals which threatened to destroy the sport. However, less than six years later, aged just 34, he died alone, in a cheap Italian hotel room. 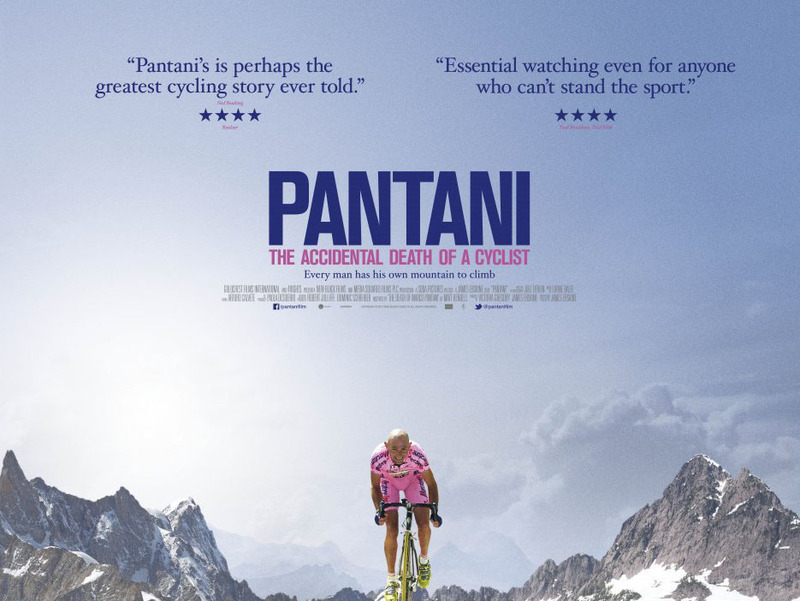 This film is not just about cycling but an emotional exploration of what drives athletes to compete; man versus mountain, athlete versus the system, Marco Pantani versus himself. The DVD and blu-ray are released on May 26th and is being shown across the UK in various cinemas. This is one film you cannot miss in 2014. The trailer for the movie can be found here.